Pet Odors? Pet Stains? No Problems! This is where Emko's pet odor and stain removal carpet cleaning service Bartlett comes to the rescue. We find the right solution for pet urine removal and pet odor removal relating to your carpets. When you have a furry friend living with you, then on occasion accidents may happen. These little mistakes can be especially tricky and troubling to clean up when they happen on a carpet. "We've got the answers you're looking for – after all, we've seen it before"
Do your carpets or rugs have spots or stains that you can't remove, or obvious wear in high-traffic areas? Than you may be considering steam cleaning your carpet by a professional carpet cleaner. 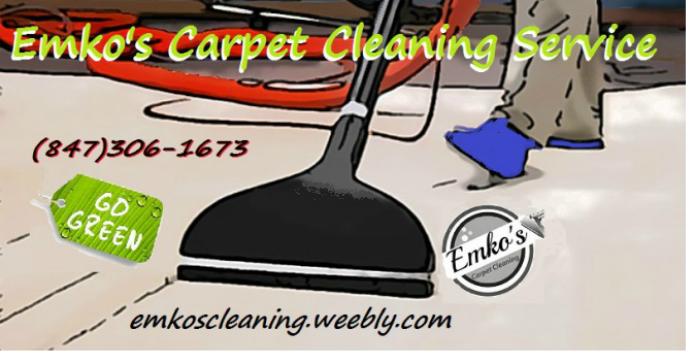 Emko's Carpet Cleaning Service can offer you best solution that your carpets need! Why is unkempt or untreated urine dangerous to health? Let's face it, Urine is an optimal food source for bacteria and microorganism growth, which can carry risks including infections, sickness and disease. Unfortunately, far too often the extent of the problem is broader than pet owners first realize; if a pet owner has witnessed one accident, it’s more than likely that there several affected areas they’re unaware of that are causing health risks to anyone who lives in or enters the home. As time is crucial in getting the stain removed, it is very important that the area is treated as soon as possible before it turns in to permanent stains and become a health issue for you and your family!